Money is known to everybody, including a child as something very important. But only few people have time to know or think of the other side of the coin. Only few people recollect or recognize this manmade mean product called as Money, is to be controlled by them but not to be controlled by it. This is a Saga of Money that encompasses life forms on earth, resources and objects; actions and inactions; problems, causes and solutions; and many faces of money that one need to identify, meet and manage. Along with the story, you travel to few hundreds of years back in time and not a distant future where things await you to show up on a day after tomorrow that you plan and create today. While thinking of money, if one can pause, a lot of questions come in to one’s mind. Is it possible that every individual be employed for life and never gets laid off? Is it possible that every individual can never be afraid of not having money? Is it necessary to pay for education, transportation and health care OR can these be free of cost in terms of money? Will the prices ever decrease? Can the inflation be controlled? Can the depression be prevented? Is it necessary that we become victims of investment in financial products and just watch while our net worth gets eroded? Is there an end to the path of taxes? Whether government can function without raising taxes or rather without collecting new taxes? Can the government function with less money or limited money? Can we have better governance from the government? Is it possible that only right individuals with aptitude, interest and dedication enter various fields such as politics (Government), medicine (Doctors), judiciary (Lawyers) and other professions? 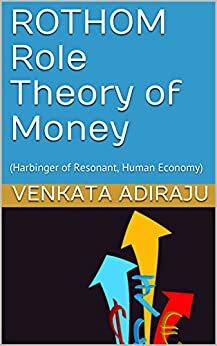 The book explains the unpleasant role money is playing in the lives of people and environment, how it is the cause for various problems that all of us face today, and direct towards a solution by which the money can be controlled quickly and managed rightly so that all monetary problems faced by Governments, individuals and businesses can be solved. The book contains special reference to India, USA, Japan and Bhutan outlining influence of money on the lives of the people of these countries keeping in view certain angles of money and economy.